Make Money Online Reviews Can Domainer Elite Make Flipping Domains Better Than Flipping Burgers? Can Domainer Elite Make Flipping Domains Better Than Flipping Burgers? The Good: Solid video tutorials, covers domain and site flipping and provides with the resources you need to get stared. The Bad: There is no written guide unfortunately. I wasn't thrilled with the upsells either. The Bottom Line: If you're interested in domain flipping, then Domainer Elite is certainly a good choice for getting a solid foundation of learning. It's not perfect, but at the price point it's still a solid product. There’s a trap that I think any newbie online marketer falls into. It can be a deadly trap, and it’s certainly most often a wasteful trap. What is it? Domain hoarding! This is when you buy domain after domain after domain, always saying you will do something fantastic with this domain, one day, maybe, sort of. Personally I brought my domain purchasing addiction under control with only 30 or so domains in my account (a huge 4 of them were active sites and only 2 were actually being worked on). I’ve heard of people hoarding hundreds of domains, that’s thousands of dollars’ worth of internet real estate there! Are you like that? What if I told you there was a way to potentially turn a profit on those dormant domains, and any future domains you buy? Historically merchants in pretty much any niche would buy a product and then try and sell it at a higher price. Domain names are no different, and can be insanely profitable! Domain flipping is not a new idea, but recently it seems to have fallen by the wayside in favor of shinier and newer ways of making money online. When I saw Domainer Elite, it piqued my nostalgia and it also looked like a possibly dubious product due to its hard-core marketing style (read over the top, lot’s uppercase and claims of riches), both of which meant I HAD to review it! As mentioned above, the sales pitch for this program reminds me a lot of various dodgy internet marketing products I’ve purchased in the past. It makes use of a scarcity tactic, a countdown clock, that resets on page refresh (so it’s not real) as well as other more standard marketing tactics. The sum of it leaves me feeling slightly uneasy, but of course that doesn’t mean it’s a bad product as often effective online marketing can come across as a little bit in your face. Restarts on refresh, so not really a worry. The sales pitch states that what you will get is a guide on how to find desirable domain names and flip them for profits. Of course the pitch provides screenshots of vast amounts of money (tens of thousands of dollars) but which are completely out of context and cannot be verified. It does however provide a Listing History screenshot that does provide some legitimacy, though whether they are the result of using this system is difficult to say. One very interesting part of the sales pitch was a video of the person behind this product, Jamie Lewis, taking a lie detector test. It did look legitimate, though there was no questions asked about this particular product just general “did you make money”, “did you ever lie to clients” type questions. There was also no way to get access to the full results (the option wasn’t fully there). As such I wouldn’t really use this as proof of anything, apart from that he has enough money to pay a retired police officer and a videographer. Ignoring the seemingly fake 90% discount, Domainer Elite currently sells for $19.95. However, as with most internet marketing products, this low entry price is just the tip of an iceberg. The only one I would consider here is the software though it’s not really software (more of a aggregation of services website) and is not necessary (no upsells are ever necessary). The actual product is access to the Domainer Elite website’s member’s area. The first thing you are shown is a list of 12 training videos, each lasting somewhere between 3 to 35 minutes long (about 20 minutes on average), so there are several hours of training here. The quality of each video varies, but all of them are understandable and watchable, Jaime is clear and concise and the training itself goes quite smoothly. The videos also include a promotional video for the Domainer Elite software and a few smaller videos showing real life sales. The videos have been made at different times and for different audiences, so they do not all “mesh”, and as such you may find some repetitive content though this can help drill the info home! Still, the videos contain a lot of information and even the “I made a sale” videos have interesting pointers to take away. The rest of the site has a variety of different subjects covered. Sadly, but expected, most of the menu links out to either the upsells or affiliate links to services like GoDaddy and Aweber. However, the links ARE useful, and they link to places you will want to visit daily anyway, while domain or site flipping. 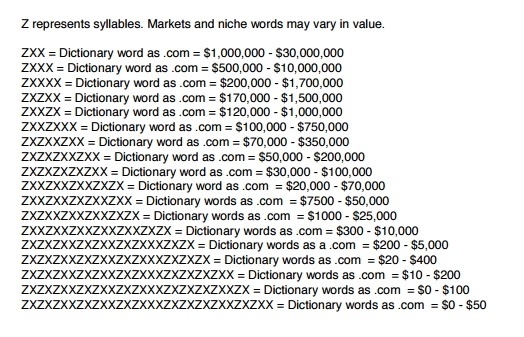 Jaime also includes several downloads, including a rough guide to potential domain pricing, as well as huge word and noun lists to help you track down elusive domains. I also love the fact that he includes a template for Flippa listings, as I hate writing things like that yet it is almost as important as the domain itself. I tried domain flipping a while back and honestly I was lost. I didn’t have much of a clue about how to find domains, barring typing random things into the search bar, and had even less of a clue about how to profit from them. I think that Domainer Elite is a solid product that can help someone like me, and perhaps you, get a better grasp on how domain and site flipping works. It’s not perfect, far from it, as I walked away feeling I hadn’t quite grasped it. To be fair though, there’s as much art as science involved in domain flipping, so there’s no way to quantify what qualifies as a decent domain name – length is an indicator but not a definite. Overall, Domainer Elite is not a scam, and is worth the money. I still wouldn’t buy the upsells, but some people may benefit from the software one.